I have been thinking about the launch of this business for more than 10 years and early on I decided my transition after the corporate world was not going to be about retiring, just moving on to do something else. I even refused to allow my staff to plan a retirement party. Retirement parties remind me of funerals or memorial services, so I opted for a night of drinks out with friends I really cared for. I decided I would take control of the way I exited, even though the company controlled the timing and most everything else. I was adamant I would not become a lame duck after the public announcement. I stayed engaged with the business, increased my public profile and actively supported the process of finding my successor. Because I had planned ahead, I was able to put all my energy on making an elegant exit and not worrying about what was next. My career had exceeded all of my highest expectations, so I was determined to move on with the pride, passion, strength and poise I was known for in the corporate world. I loved all the years I spent working in the national security sector but it was all consuming. I am now enjoying the opportunity to do new things and to work in other sectors like financial services and energy with my board activities. As I thought about how best to use the knowledge I have gained and share my experiences to benefit others, I decided years ago that I wanted to create a consulting practice. I have transformed companies, cultures and careers, and I now build on my interest in people and how they work and lead. I think the world needs more ethical and effective leaders, the kind of people my grandchildren can admire. My colleagues and I build upon our own ideas and experiences to help create better outcomes in life and work for the leaders of today and tomorrow. We are focused on implementing and managing change in leadership, organizations and strategies to help accelerate success. The world is changing rapidly and only those companies and leaders able to adapt and embrace that change will succeed and provide the best outcomes for their stakeholders. The way we work, how we work and where we work are continuously changing with technology cycles and different generational expectations. It is an exciting time to be on the forefront of redefining how we work, live and lead. This company needed a name and I spent untold hours on the internet looking for something that captured what it was I was trying to do. Listen below for more on my journey in choosing the name of this company and how I transitioned from the corporate world to founding and operating my own consulting firm. 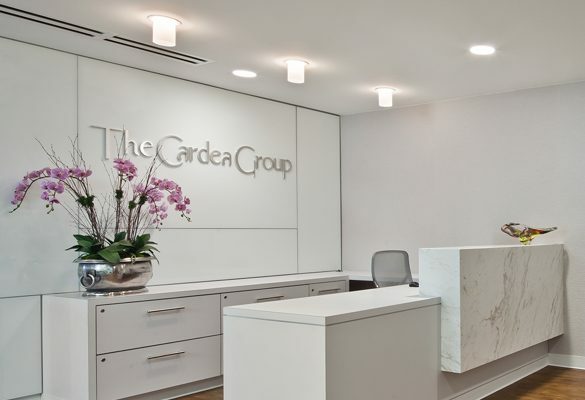 The Cardea Group brings sought-after, industry-proven insight and exceptional passion to each engagement, as we focus on innovative solutions that support each client’s unique objectives. Learn more here.